This weekend we celebrate the feast of ‘Corpus Christ’, the Body and Blood of Christ, the Lord coming to us in Holy Communion, feeding us on our journey, the food of travellers, as we sing. With the Blessed Sacrament kept in the Tabernacle those in hospital or housebound are also constantly united with us in Holy Communion. But our churches are also places for quiet prayer in front of the Blessed Sacrament – and people do pop in through the day where possible. 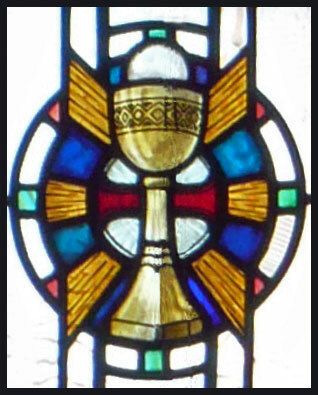 Most Thursdays we also have a quiet half-hour and ‘Benediction’, a blessing with the Blessed Sacrament – there are a few hymns but mostly it is a quiet time. On many Sundays too we have the official evening prayer of the Church (‘Vespers’), psalms and hymns from the Scriptures. Anyone is welcome.